You are on the run. For you ruthlessly hunts the government, which you once served. The key to your survival – improvisation and adaptation. The pleasure that you get from this game, woven from elements of Splinter Cell series and the new features: full interaction with the environment. 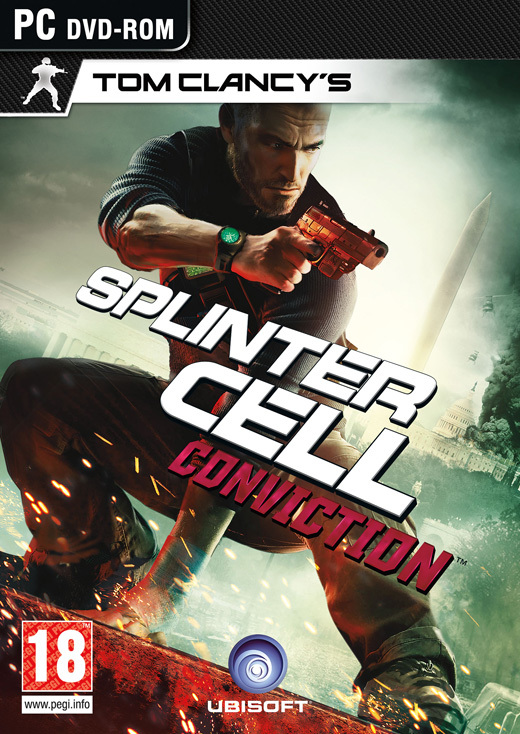 Tom Clancy’s Splinter Cell: Conviction will make the adrenaline in your blood boil, without stopping: chases, unarmed combat and intense exchange of fire at the core game. To survive, you will have to establish contacts with the underground, which will help you get a high-tech gadgetry and always stay one step ahead of his pursuers – in fact you should disclose the conspiracy of those who wish you dead. - Action of a new generation. With the latest systems “last known position” and “mark and destroy” the battle with the enemies will go to a new level. - Movie effects. Unique storyline and at least a unique style of its submission to the player for a long time delay you for a game. World Fisher – a world in which nobody can be trusted, and for justice to be done has to transgress the law. - Unique visual effects. A brand new game engine will enjoy a pleasant graphics in seamless world, where the loading screen remained in the distant past. All this fully to enjoy the unique story of Sam Fisher.